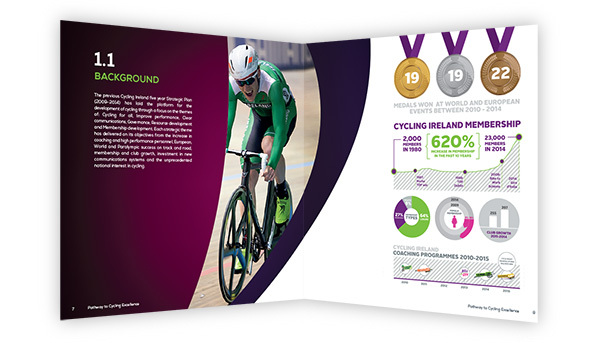 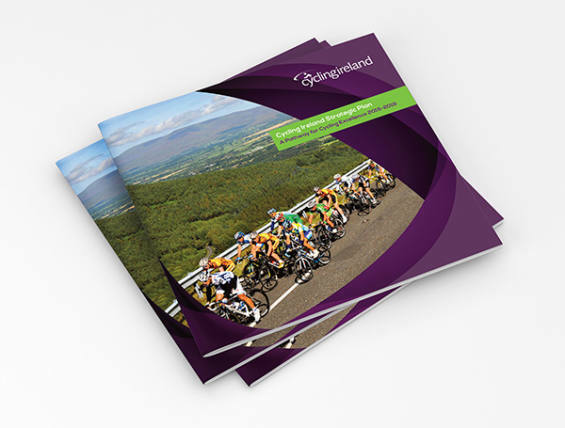 Cycling Ireland is the national governing body for the sport of cycling in Ireland. The aim of Cycling Ireland is to promote cycling as an accessible and enjoyable pursuit, where every cyclist may participate and develop to their full potential. 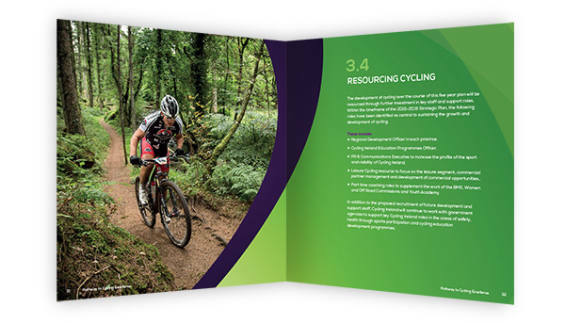 Resonate designed the recent strategic plan published by Cycling Ireland. 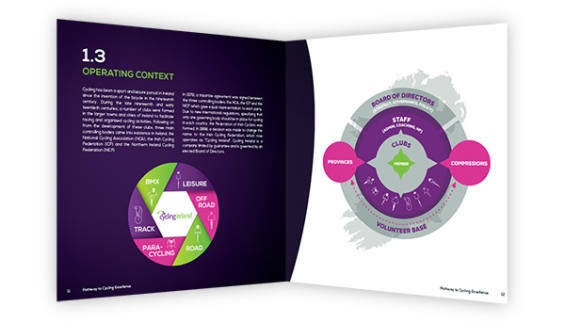 Combining great photography with bold colours and layouts, and interesting diagrams and graphics, we produced an engaging document which was really well received by both members and stakeholders.